This article first went out to Non-Fiction Subscribers. If you want to get articles early and straight to your inbox click here to subscribe. 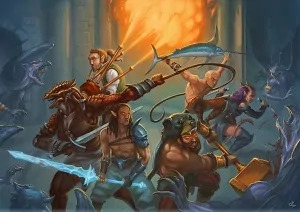 Thanks for the great response last month regarding my Dungeon Master article. It seems like quite a few of you are interested in Tabletop gaming. Sitting around a tabletop rolling dice and munching on snacks can be a great afternoon. However, today I want to step away from the table and cloister myself into a virtual world. Earlier this month we got to play around with the HTC Vive and dive deep into the world of VR gaming. I’ve got to say, I’m really impressed. Previously with the Oculus Rift you were able to play Minecraft and a few other games and just use ‘head-tracking’ to look around. It looked great and added a sense of ‘being there’, however there were issues with feeling a little queasy after playing for too long. Enter the new generation of VR Gaming with track able controllers and an actual play area that you can walk around in. 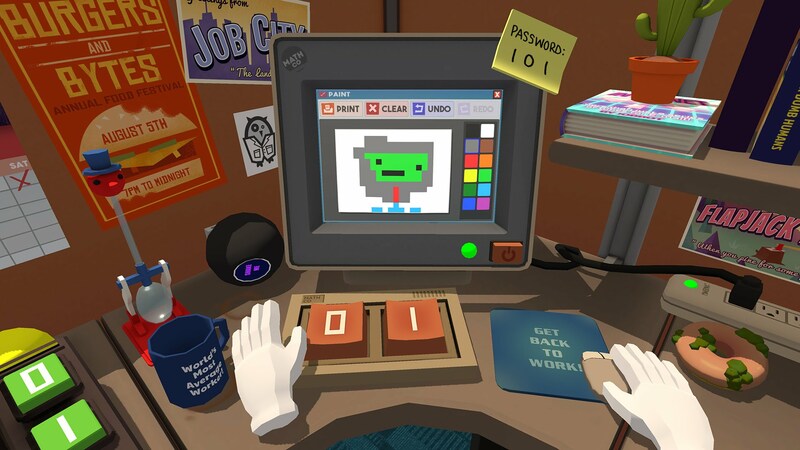 First up was Job Simulator which sounds very dull on first parse. It’s 100’s of years into the future and robots have created an interactive job museum so people (other robots?) can see what human jobbing was like. When price and quality DON’T matter! The options are: Car Mechanic, Office Cubicle, Kitchen, and Grocery Store. There are tasks to complete and levels to unlock, although it’s completely optional and you can just play around with the environment. In the office cubicle my computer had a keyboard made of a ‘1’ and a ‘0’… Silly robots. I could also throw eat donuts or throw my ‘#1 Average Human’ mug at robots in other cubicles. Playing around for a few minutes, something struck me as incredible about this experience. Even with simple graphics, having your vision and movement tracked on a 1:1 basis means you’re completely sucked into the world. I was crouching down to look under my virtual desk, to look in the rubbish bin, leaning over the desk (that didn’t exist in the real world) so that I wouldn’t bump into it, and generally trying to avoid standing on the object I had dropped to the cubicle floor. You’re aware of this being a simulation, yet your automatic response is to not bump into these objects because your eyes have trained you this way for years. I didn’t play the kitchen level, we watched Emma actually play through the tasks assigned: Make a smoothie, make a cup of tea, etc. 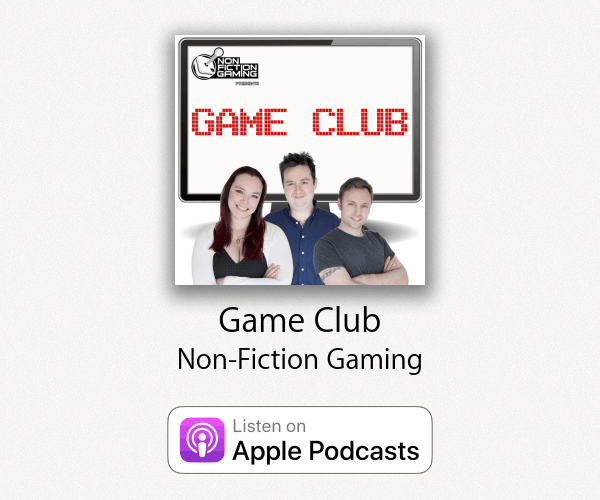 Emma isn’t a big gamer like some of us, she dabbles a little but hasn’t lost years of her life to dark rooms and late night couch co-op… yet. 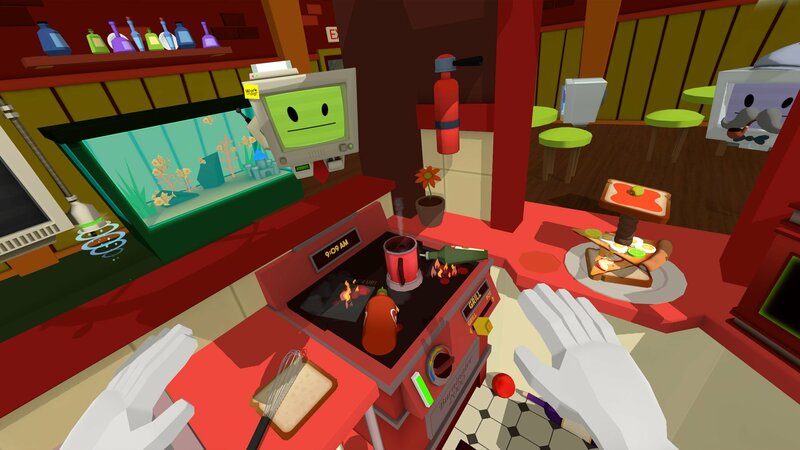 Emma found the HTC Vive controls intuitive, without instruction she was opening cupboards and creating meals without problem. As an outsider looking in, it was incredible to see how well the basics of this game have been designed to allow a player to navigate an experience we’ve all had in the real world. 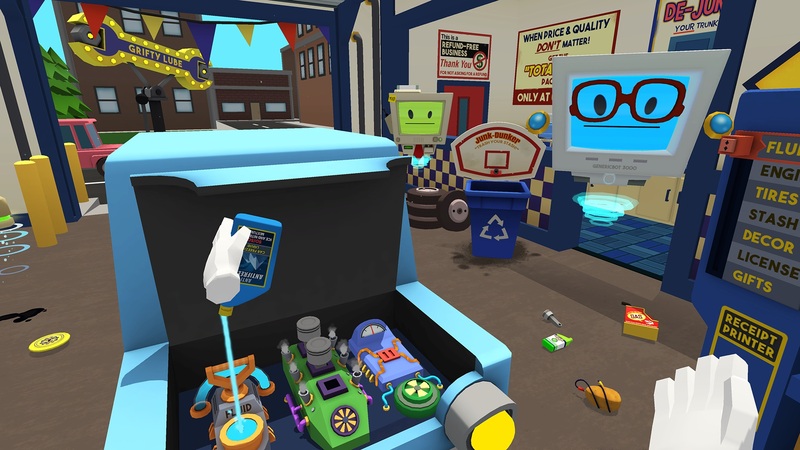 Valve has a demo to play around in for those wanting to test out their VR Gaming setups. 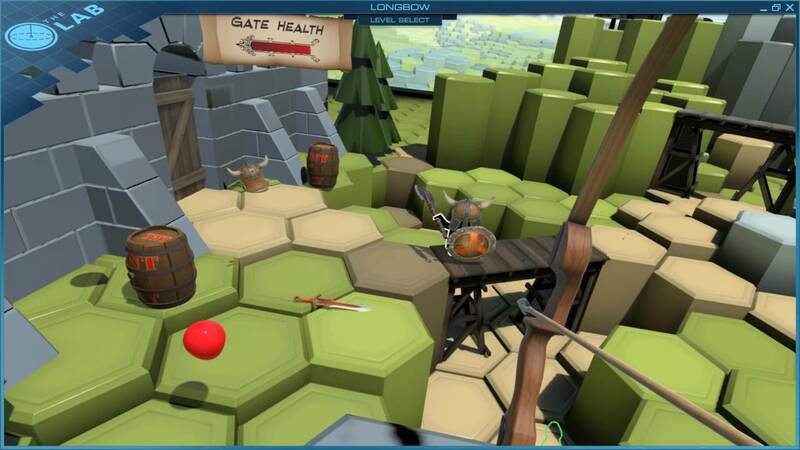 ‘The Lab’ offers a few mini-games, we spent a bunch of time playing the Archery game. You must protect the castle door from little men who are coming to knock it down and burn the castle. From up on one of the walls you can pick up a bow with one hand, knock and pull back arrows with the other. Enemies come at you on different paths across all sorts of distance so you must aim higher to allow for the arrow’s arc. The baddies start packing helmets and shields which make your aim harder as you need to be more precise. 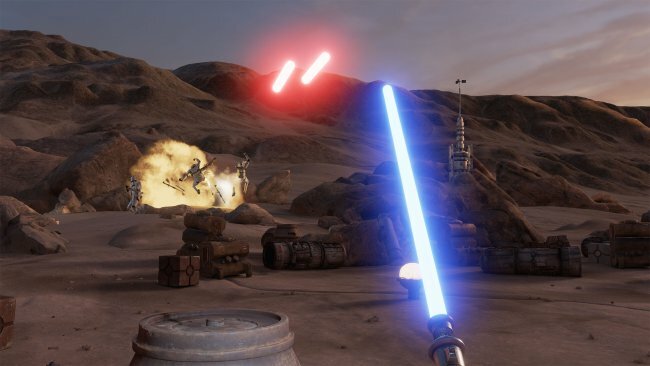 While this game was fun making me feel like Legolas firing arrow after arrow (and working up a sweat), there was 2 revelations on how VR gaming is radically different to regular gaming. On the battlements next to where you’re standing is a lit torch. Players can turn away from the action to light an arrow and shoot an enemy. Shield enemies shot with a burning arrow with have their wooden shields burn away making the next shot easier. At first, I did what games have taught me all my life. Turn around with the arrow on the bowstring, put both hands forward until the arrow is alight, turn back to the field and shoot. Reading that in text, you may have figured out what I did after doing this a few times. After a while I began just turning my upper body so I could keep a stance in the direction of the action. Eventually I realised that I have two independent hands. All I needed to do was turn my head and reach back with my right arm (instead of both) to light the arrow. Once I figured this out, my flaming shots rang out at least twice as fast. This revelation was insane. Of course we have two hands that can perform two tasks at once. In this case holding a bow and lighting an arrow. However video games haven’t had controls like this until now. Previously you would aim a weapon at an object and hit a key to ‘interact’ or something of that nature. Coming back to the realisation that I can move one hand to a location while keeping the other arm in an aiming position is mind blowing. This was reinforced by Emma making a cup of tea in Job Simulator. At first she knocked over the mug with her jug of water while trying to pour. Instinctively she then grabbed the mug with her other hand to steady it as she poured. Really simple interactions, yet crazy when you give some thought on how long it took us to get here. You may not know this. Body language conveys a ton of information. This is called non-verbal communication. The most noticeable one (for me at least) is when your significant other crosses their arms across their chest to convey a sort of “I’m closing myself off from your witty statement Dan” kind of thing. 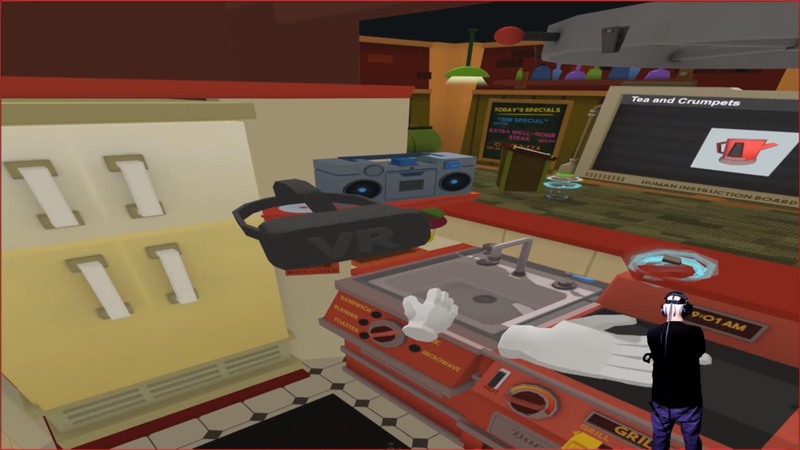 This very thing is interesting to look for in players using VR. In a normal video game, if you’re stuck you might sit up straighter, clench the controller or mouse tighter and look around for clues. In VR, your body does what feels natural. When looking for an object, players tend to tip their hands upward and create a kind of shrug gesture while looking around. What sounds really simple is kind of incredible. There’s no purpose to this gesture except maybe to get your hands out of your field of view. So why do we turn the palms up while we do it? According to some ‘alternative’ articles online, that position opens the body and enhances listening. Part of the reason why the lotus position meditation usually has palms up resting on the knees. Whatever the reason though, I think it’s crazy (and awesome) that VR gives you freedom enough to use that kind of body language without thinking. I hope developers are able to use this kind of data to work out the difficult or puzzling areas of their games. While data on how long it takes to solve a puzzle, or completion rate is important, I think knowing players emotional state based on body language could be amazing. If you haven’t already, I recommend getting on board the VR train. These units are expensive and you need a solid space to play around in so I’m not saying you should rush out and buy one. 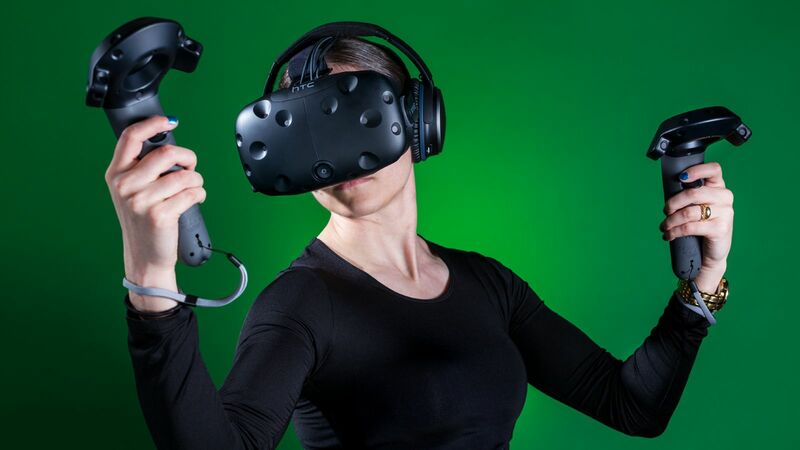 There are a few places that offer an hourly rate to give the HTC Vive, Oculus Rift, or Playstation VR a go in sizeable area. Go with some friends, split the cost and watch each others points of view on the screens available. I’ve already told my girlfriend that our next home needs a spare room devoid of furniture that can be our ‘VR Room’. Yes, I’m resolved to build an X-men style ‘Danger Room’. If you’ve played around with VR, gotten ill or had a great time I’d love to hear about it. Shoot me a message through Twitter or Facebook.